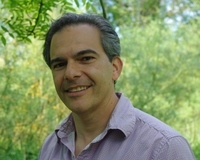 Michael Petraglia is Professor of Human Evolution and Prehistory, Max Planck Institute for the Science of Human History, and a Research Associate in the Human Origins Program, Smithsonian Institution, Washington, D.C.
His research interests include the study of out of Africa dispersals and the response of humans to climate change. His primary regions of interdisciplinary archaeological research are the Arabian Peninsula and the Indian subcontinent. For further information, see Here.